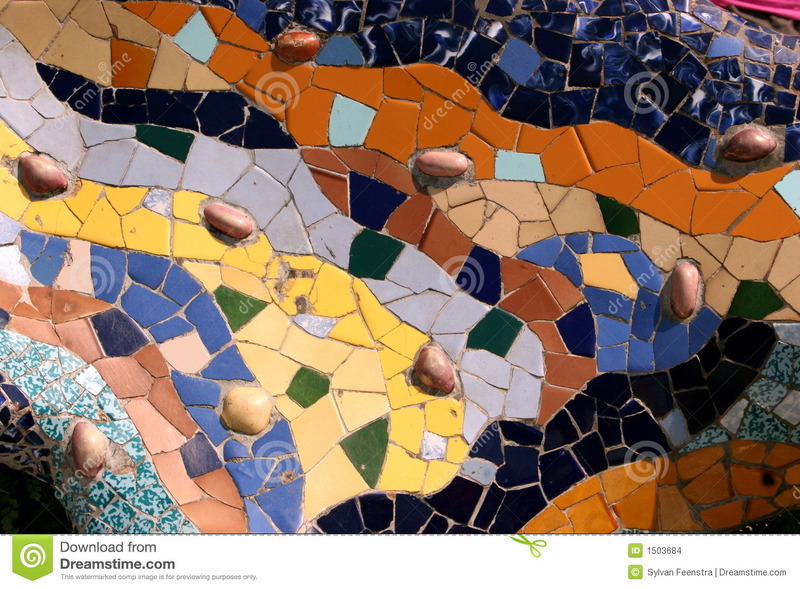 Gaudi s Park Guell in Barcelona - mosaic. 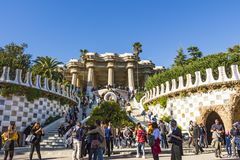 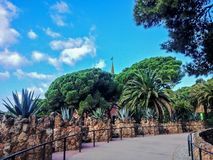 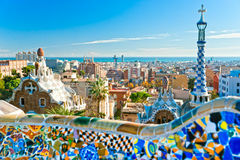 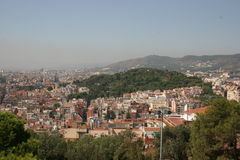 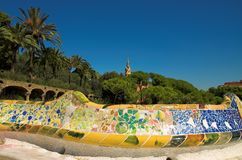 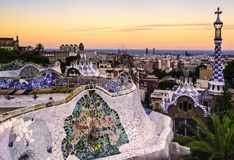 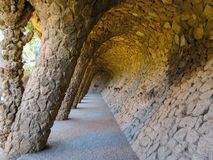 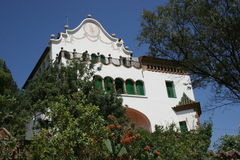 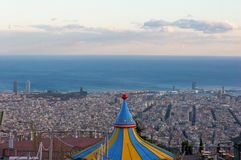 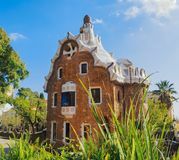 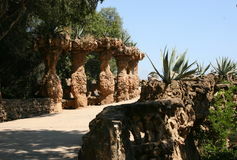 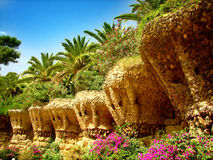 Park Guell in Barcelona is one of Gaudi's masterpiece parks originally planned as a marketplace. 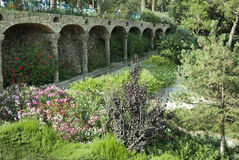 Natural collonades are winding up the hill. 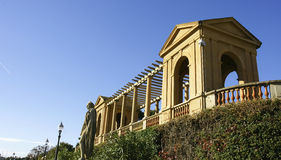 The paths lead up to a large central terrace projecting over a hall. 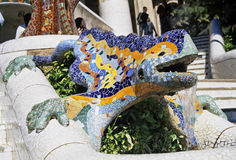 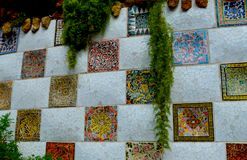 The terrace benches are covered in trencadis - broken mosaic work. 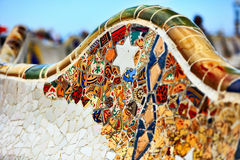 Mosaic detail.